Forming the basis of a completely revised Mini Theatre concept, the new M-1 combines a cleaner aesthetic with dramatically improved performance. Combine it with either the ASW608 or the new PV1D subwoofer to create a home theatre experience with superb integration and impressive power for such a discreet system. Plus, its more extended bass response allows M-1 to be used on its own for two-channel applications. 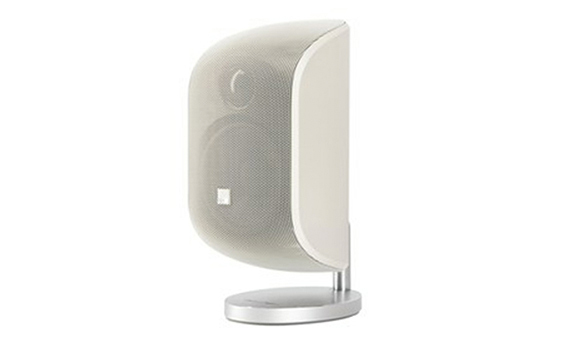 Mount the speaker as shown on a table or shelf. Alternatively, a bracket is included for wall mounting and a floor stand is available as an optional extra. Sleek, compact, yet packing a powerful punch, the M-1 satellite speaker can be used on its own, with a subwoofer in a 2.1 system, or as the backbone of our Mini Theatre systems. From the inside out, the M-1 was conceived as a unified system. Its design has evolved in a totally integrated way, from the custom-made crossover to the two-piece clamshell cabinet. And now, following a complete technological overhaul, including all-new drive units designed in-house, it sounds better than ever. Dispersion has increased. Imaging is pin-point accurate. Performance is now full range. In fact, the improvement is such that a single pair of M-1s could happily take on the role of your dedicated stereo speakers. 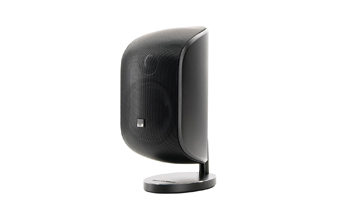 The speaker’s versatility allows it to adapt perfectly to any home environment, no matter how awkward the space. You can put the M-1 on a bookshelf. Or mount it on a wall. Or position it on its own floor-length stand. 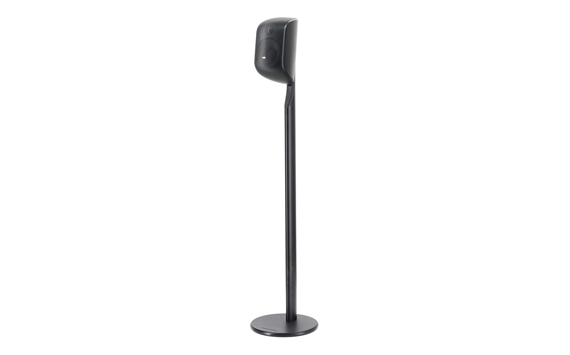 It can even swivel to a horizontal position, for when you want to use one as a centre channel speaker. Available in a choice of Matte Black or Matte White finishes, its clamshell cabinet is formed from just two interlocking, continuously curving sections. It all adds up to stunning sound, whatever you are listening to.